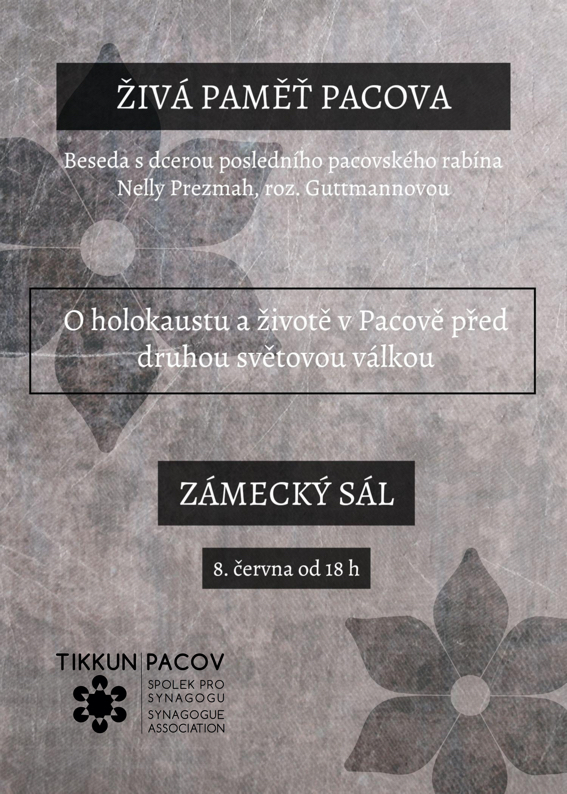 Ms Nelly Prezma née Guttmann’s will talk on the holocaust and life in pre-war Pacov on Thursday June 8 in the main hall of the Pacov château from 6pm on. A survivor of Auschwitz and Bergen-Belsen concentration camps, the daughter of the last Pacov rabbi is the last living witness of the local Jewish history. Written by Jan Zoubek, archivist in Pacov, in 1934. It is not easy to say when and from where the first Jews came to Pacov; and I regret the lack of information that would shed light on the hidden past. However, it is certain that the Jews lived in Pacov years before we can see the actual evidence of their presence there. 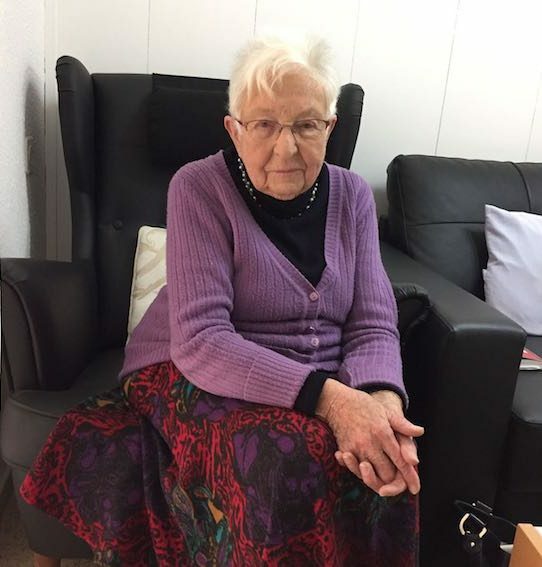 Nelly Prezma née Guttmannová (90) recalls her childhood in Pacov before World War II, the transportation of the local Jewish residents to concentration camps, and her return to Czechoslovakia after the war. The interview was conducted by Eva Sobotka in Israel where Ms Prezmah lives since 1948. On January 13, 2017, the local daily newspaper Pelhřimovský deník published an article about Ms Nelly Prezma née Guttmann. A holocaust survivor, the daughter of the last Pacov rabbi was among the residents transported to Theresienstadt concentration camp in November 1942. Available here (Czech only).